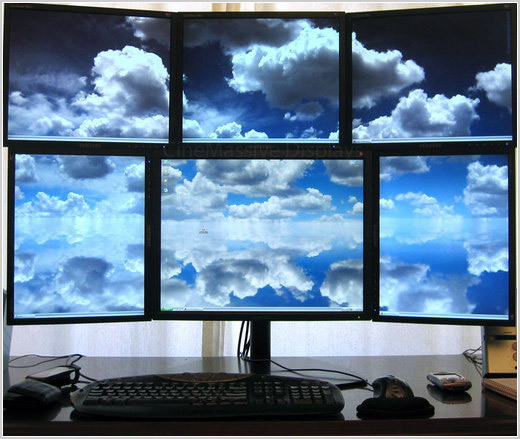 Having just one screen per workstation is enough for most people. 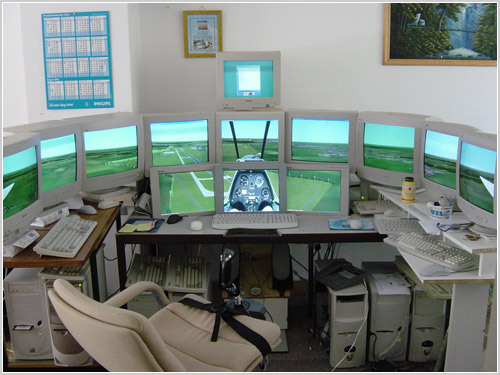 Everyone in the Pingdom office has two screens per workstation. 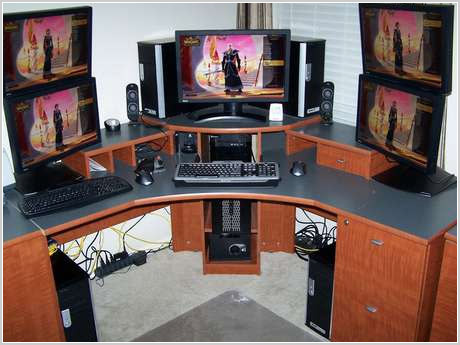 We find that that is a nice sweet spot, with a good deal of screen real estate without taking up too much space. 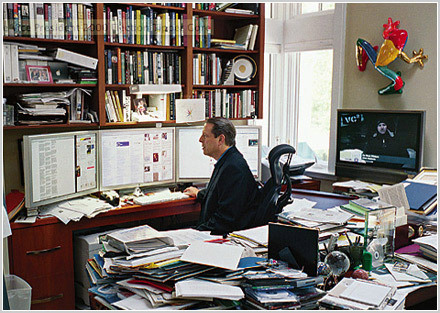 But there are people out there who think having two screens isn’t enough. Not even close. Ay!! My obsession is the winner! 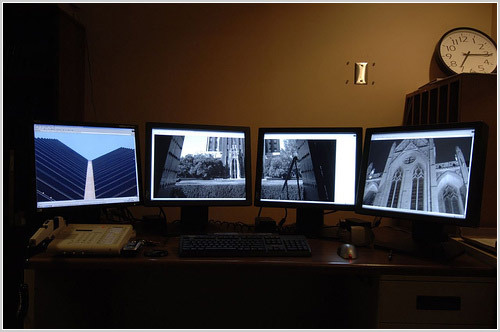 A lot of those setups are monitors on multiple machines – it’s not the same. 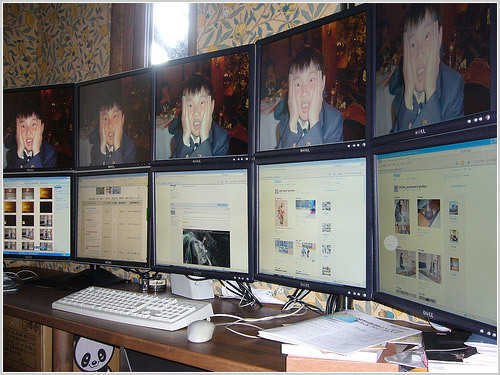 I want to see how many monitors people have on ONE computer. Hey I guess I am kinda behind with only 3 lol. 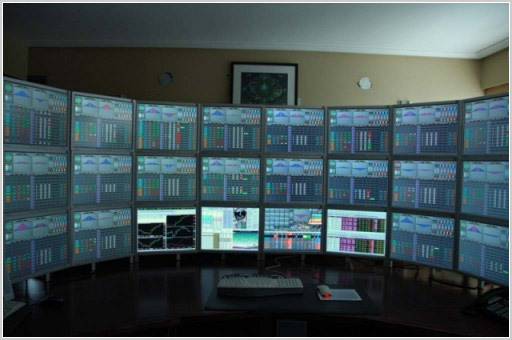 Question: What purpose do all those screens serve? 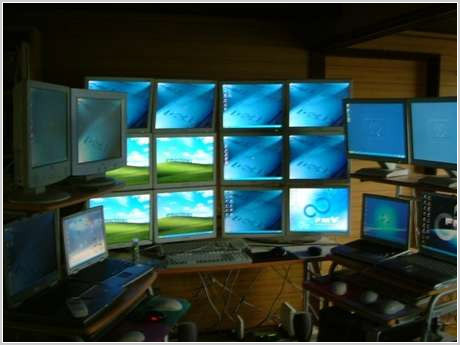 If they are on the same computer, why do you need to have so many screens? 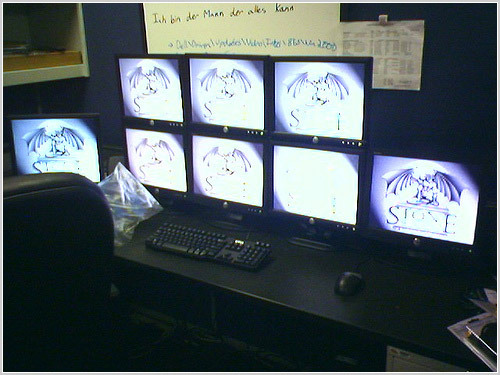 I have two computers at work and only one monitor that they share. I have to switch between them when I change computers. It works just fine and doesn’t take up any extra precious resources and energy, other than my own having to hit a switch from time to time. Here’s another that could be considered for this. 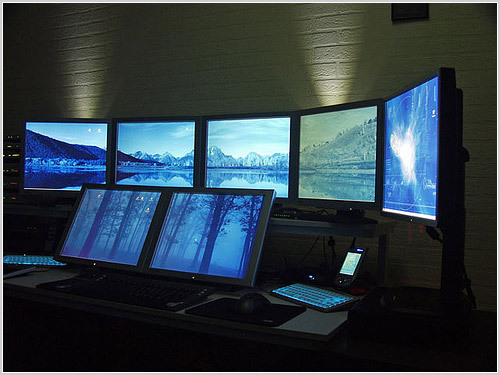 50 screens!